Founder and CEO. MD Columbia U. Board Certified in Neurology, Critical Medicine and Neurophysiology. 30 years as national and international expert in acute brain injuries. Established first digital CEEG monitoring program in US and first EEG WAN Network. Using CEEG, first reported epidemic of silent seizures in ICU and successfully championed its adoption as a US standard of care. Co-founded AAN Section on Critical Care Neurology. Editor and author of > 50 chapters and papers. Patented and commercialized BraiNet® product. Recipient of >$3 million DoD grants for innovative ABI technology. 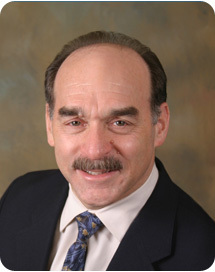 Gary Reasoner- Vice President of Business Development: 35 years experience in medical equipment sales and marketing. 15 years at Nihon Kohden America as Director of the Neurology Business Group. Most recently CEO of Neurotronics Inc. (NTI), a leader in Diagnostic Sleep market. Presided over a successful exit via company sale in 2009. Melissa Burke, REEGT, R.EPT, CNIM VP Technology and Product Development: 20 years as clinical EEG technologist and expert in EEG technology. National lecturer, ASET faculty and trainer on EEG in neurological emergencies. Oversees BraiNet iEEG product design, development, in-house testing, and clinical studies. Anne Perry, Vice President Finance, Administration and Sales: 30 years combined experience in the fields of business administration, healthcare, marketing, product development and manufacturing. More than 12 of these years were spent in the manufacturing and finance industries where she was responsible for accounting, and Information Technology. Alaura Moore, Research Technologist: 12 years experience in EEG technology,and applying JNS' innovative technology to clinical research studies. The JNS Product Development Team includes EEG specialist software engineers, wireless engineers, electrode engineers, materials engineers, prestigious university clinical research centers, regulatory specialists, and intellectual property specialists. The JNS Commercial Team includes ISO and GMP manufacturers, packagers, shippers and an international network of BraiNet Product distributors.